Hitchhiker - friend of foe?? 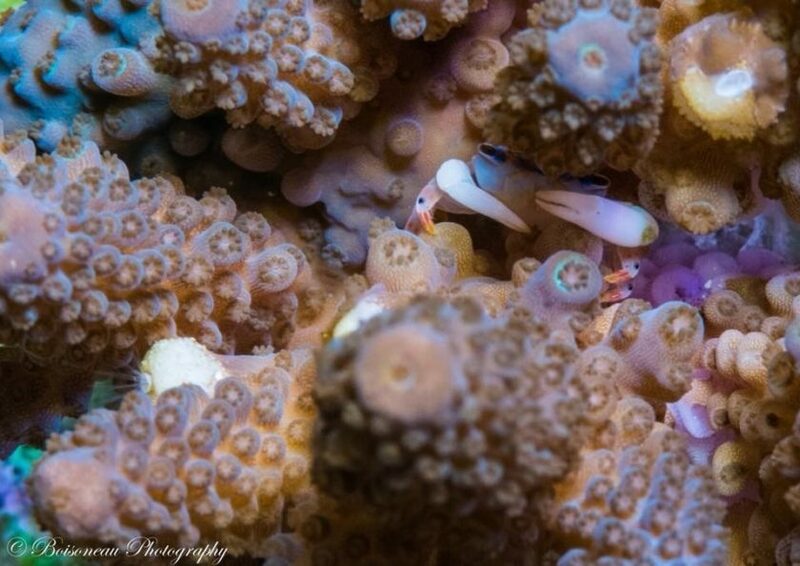 Every now & then hitchhikers arrive on our aquacultured & wild corals & we are able to gain a bit more insight into the life of coral crabs. The most common species of good coral crabs are the Tetralia & Trapezia species & it is fairly uncommon to find more than one species of crab inhabiting the same coral. Tetralia & Trapezia coral crabs can be found living solitary or in pairs within the branches of the coral host & will defend the coral from other crabs or predators, like starfish. These crabs do not harm the coral & feed off nutrient rich mucus produced by the coral. The Pale face coral crab (Tetralia cinctipes), is easily identified by its white body with a distinctive black line running across the face. In contrast, one crab to be on the lookout for is the Gorilla crab (Xanthid sp.). Gorilla crabs are found primarily on Acropora & are easily identified by their rounded body, blue eyes & hairy legs. 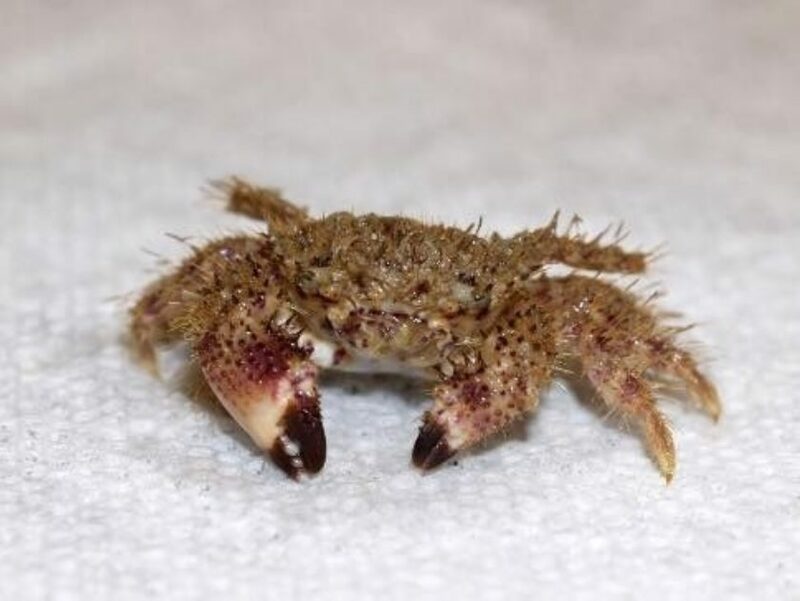 Remove Gorilla crabs as soon as you spot them, as these hairy beasts will munch away on Coral tissues & can grow to a large size then begin to prey on smaller reef tank animals like gobies & shrimp.